‘PureTrainings’ is focused on Job oriented trainings that help our students to get a job as soon as they complete our courses. All our trainings are provided with 100% placement support. 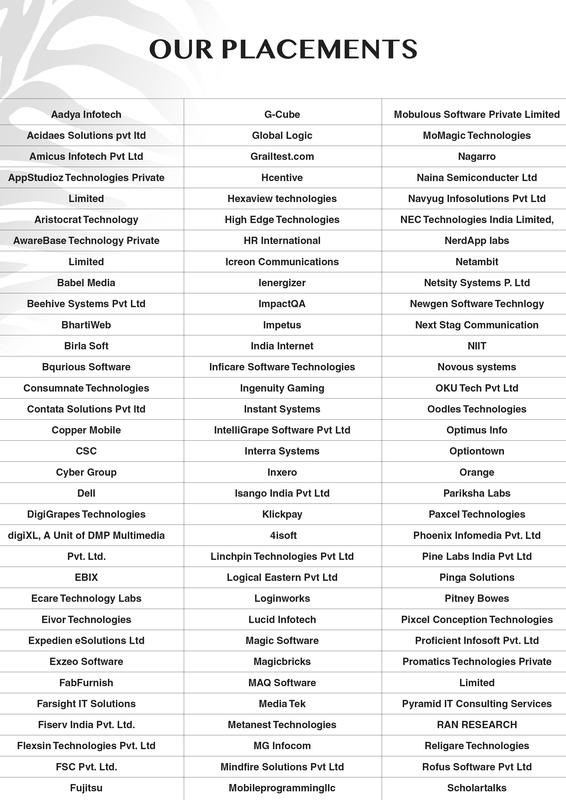 Blessed with our associated network, we have successfully placed a vast number of candidates so far with an excellent placement success rate. Backed with our industry experienced trainers and the professional network, we organize the mock interview sessions for every student from time to time. These sessions make students aware about their strengths and weakness. Each session includes complete evaluation of technical, communication and behavioral skills. The courses provided at ‘PureTrainings’ include real time project experience. All the candidates will get hands on experience with industry standards, in order to face the interviews confidently. The superb placement history and quality of training made us premier software training institute in Delhi NCR. •	Record of above 94% placements. •	Dedicated placement cell working towards providing each and every individual placement opportunities. •	Life time placement assistance. 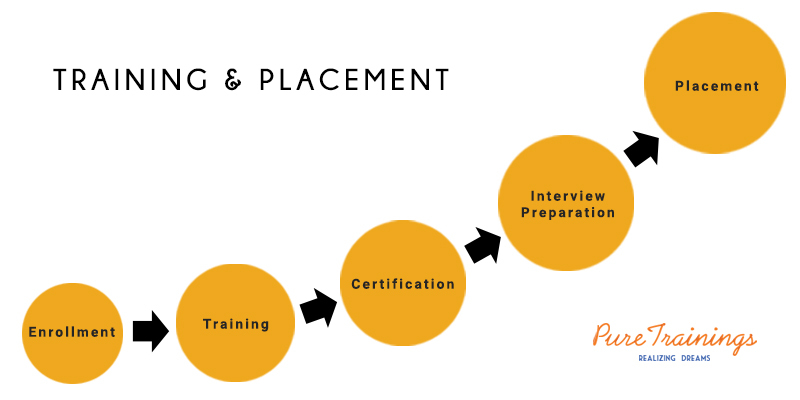 •	Rigorous interview preparation process grooming candidates in soft skills and technical skills. •	Candidates profiled in the beginning and based on their abilities opportunities are identified and given.